ASP.NET MVC 5.1 is completely a NuGet package. This package contains the runtime assemblies for ASP.NET MVC. ASP.NET MVC gives you a powerful, patterns-based way to build dynamic websites that enables a clean separation of concerns and that gives you full control over markup. Good news! ASPHostPortal.com has supported the ASP.NET MVC 5.1 hosting on our hosting environment. 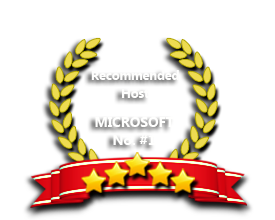 With our fully support on Microsoft Windows and ASP.NET, ASPHostPortal is the best choice to host your ASP Hosting. Our Windows Cloud Hosting fully supports ASP.NET MVC 5.1 hosting. You are more than welcome to try our Free Windows Cloud Hosting before you decide to buy. You can get your Free Cloud Windows hosting account up and running within the next few minutes.